The Federal Executive Council (FEC) has approved the settlement of N25.99 billion debt owed power Distribution Companies (Discos) by the Federal Government. The Minister of Work, Power and Housing, Babatunde Fashola made this disclosure while briefing State House correspondences at the end of FEC presided over by President Muhammadu Buhari. He also disclosed that the verification of the amount owed by States and Local governments was still ongoing. 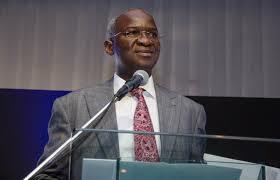 Fashola had recently denied boasting that he could fix challenges in Nigeria’s power sector in six months. “I was responding to residents who, after we commissioned a power plant in Lekki to serve the water works and street lights in Lekki and Victoria Island, asked me when they can get powers in their homes​.